ISTANBUL, TURKEY (ANS – June 29, 2016) — Turkey is observing a national day of mourning after a gun and suicide bomb attack on Istanbul’s Ataturk airport killed 41 people, including 13 foreign nationals. According to the BBC, three attackers arrived in a taxi and began firing at the terminal entrance late on Tuesday. They blew themselves up after police fired back. Officials say 239 people were injured, with 41 still intensive care. PM Binali Yildirim said early signs pointed to so-called Islamic State, also known as ISIS. The BBC went on to say that Turkish investigators are examining CCTV footage, witness statements and mobile phone video recorded by terrified passengers to try to determine the identity of the attackers. The Istanbul city governor said 41 people were killed, including 13 foreign or dual nationals. “Flights had resumed in the early morning, though with many cancellations and delays,” said the BBC. The attack on Ataturk airport – Europe’s third busiest – is the sixth major attack this year targeting either Istanbul or Turkey’s capital, Ankara. The country’s economy has been badly hit as a result of falling tourism. Photo captions: 1) People stand outside the entrance as they leave the airport after two explosions followed by gunfire hit the Turkey’s biggest airport of Ataturk in Istanbul, on June 28, 2016 (AFP Photo/Ozan Kose). 2) Women comfort each other outside of the airport. 3) Relatives of Siddik Turgan, a customs officer at Ataturk airport, attend his funeral (EPA). 4) Norma and Dan Wooding. (Bryan Seltzer). 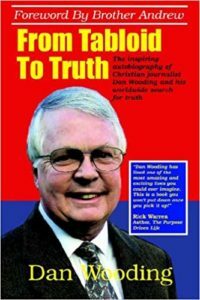 About the writer: Dan Wooding, 75, is an award-winning winning author, broadcaster and journalist born in Nigeria of British missionary parents, Alfred and Anne Wooding. He was raised in the UK and is now living in Southern California with his wife Norma, to whom he has been married for nearly 53 years. They have two sons, Andrew and Peter, and six grandchildren, who all live in the UK. Dan is the founder and international director of the ASSIST News Service (ANS), and the author or co-author of some 45 books. Dan has a weekly radio show and two TV programs all based in Southern California. Before moving to the US, Dan was a senior reporter with two of the UK’s largest circulation newspapers and was also an interviewer for BBC Radio One in London.